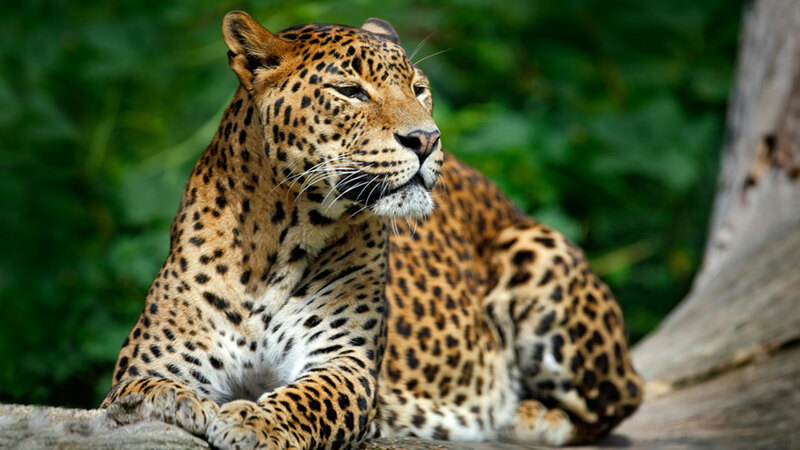 LAGOS, NIGERIA -- - Leopards have lost 75 percent of their historic range across Africa, Asia and the Middle East, with three Asian subspecies in danger of eradication, a new study says. A three-year review of data published in the scientific journal PeerJ this week challenges the conventional assumption that the iconic and famously elusive spotted cats are thriving in the wild. The big cats are threatened by spreading farmlands, declining prey, conflict with livestock owners, trophy hunting and illegal trade in their skins and teeth. Their skins are sometimes worn as a symbol of power by African chiefs, including South Africa's President Jacob Zuma. Their rangelands have shrunk from 35 million square kilometers (13.5 million square miles) in 1750 - before the colonization of Africa and the spread of firearms - to about 8.5 million square kilometers (3.3 million square miles) now, the study estimates. It will be used to update the endangered species list curated by the International Union for the Conservation of Nature, among several groups that conducted the study. Others include the National Geographic Society's Big Cats Initiative, the wild cat conservation organization Panthera and the Zoological Society of London. It is "the single most authoritative and exhaustive review of this kind," said Guillaume Chapron, associate professor at the Swedish University of Agricultural Science. Its findings are "a shock as leopards were often believed to be more adaptable to human impacts ... than other species such as tigers and lions." Conserving wildlife and preventing conflict with livestock holders is complex and countries take different approaches, said Stuart Pimm, chair of conservation at Duke University in Durham, North Carolina. He pointed to Kenya, which bans all hunting, and neighboring Tanzania, which devotes more land to hunting than preservation. "The challenge is if you protect your national parks better, will it bring in an income stream of the kind that so clearly economically benefits southern Africa and east Africa?"